Greetings from Metalheads Forever Magazine, how have you been? I’ d say pretty busy lately! But all is cool, Nick is promoting the new Unearth album so they’re touring a lot btween Europe and the US and I just finished an album with Frontiers record and I’m also very busy teaching. The good news is that we are writing tons of new material, Nick writes is parts while on tour, especially when travelling on the bus or on the plane and I record my parts in my studio doing all the arrangements and stuff! 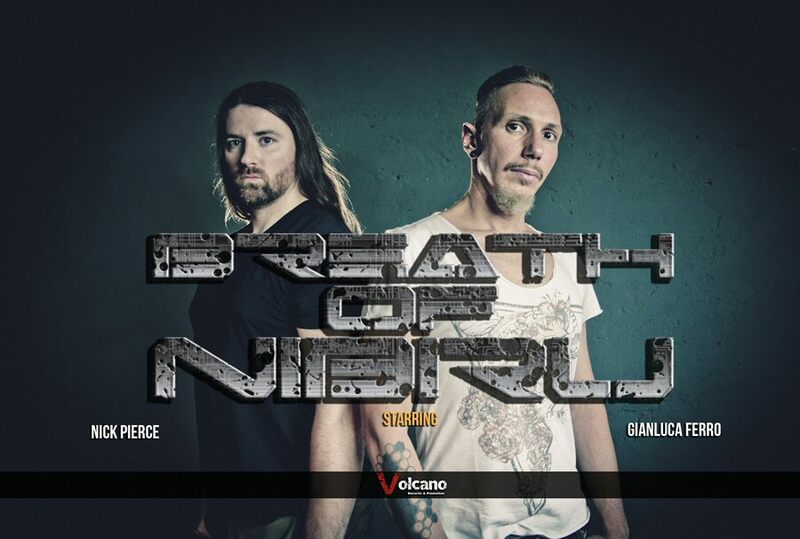 Tell us a bit about “Breath Of Nibiru”? Breath Of Nibiru took shape when Nick asked me to write some stuff together, he knew my solo stuff and that type of music was really up to his alley so we started talking about putting together our forces and create a project. We started bouncing ideas all over and finally I flew in Seattle and we recorded the 1st album with Aaron Smith. Then we played some shows in Italy and we hope to be more active live-wise in the future! Our music has started as a instrumental progmetal sort of thing but eventually developed into something more cinematic through the years with more spacey sections filled with orchestral parts, synths and ambient sounds! The new album will be stuffed with some spicy surprises! Is this a short project band for you guys, or you have plan to take this on a longer run? Absolutely it’s gonna be as long as we can survive! BoN is actually our precious little creature, it’s a place where both me and Nick can express ourselves in the most pure, authentic way. Besides that Nick and I are bonded by a great friendship, a brotherhood sort of thing so doing the thing we do is just being at the top musically and emotionally for us. We are planning to bring the project to a next level with more live, videos and more frequent releases. How do you feel about “Skyline Bazaar” and how was the outcome as per the band? Skyline Bazaar was composed and recorded pretty quickly but then we had to wait months for some issues releted to the label that was supposed to publish it. We came to a very frustrating point due to the long wait so we decided to just release it indipendently and only digitally with no promotion at all. Despite everything the album did surprisingly well through the digital platforms, we were actually surprised about the response and this makes us hope for good things in the future. What are the plans in 2019? We are currently working on the new album there’s a lot of music and ideas in the can but we are very picky about details so I think we need to tweak things a little more and hopefully Nick will get to Italy right after the summer so we can track drums and have the album ready for a Xmas release! Than we are planning some shows in the US, Nick has some contacts with promoters, we’ll see how things get togheter! The message is thank you, thank you, thank you to all of the people who believed and still believe in us, we got tons of messages full of enthusiasm and appreciation, things are quite slow in the BoN house because we have some working commitments but the new album is near to be delivered and I’m sure you’ll not be disappointed with it!